Aid workers in Zimbabwe have been preparing burials for victims of last week’s devastating cyclone. As supplies for survivors are helicoptered in, the known death toll from the disaster is more than 700, with aid agencies saying the final total will be well over a thousand. 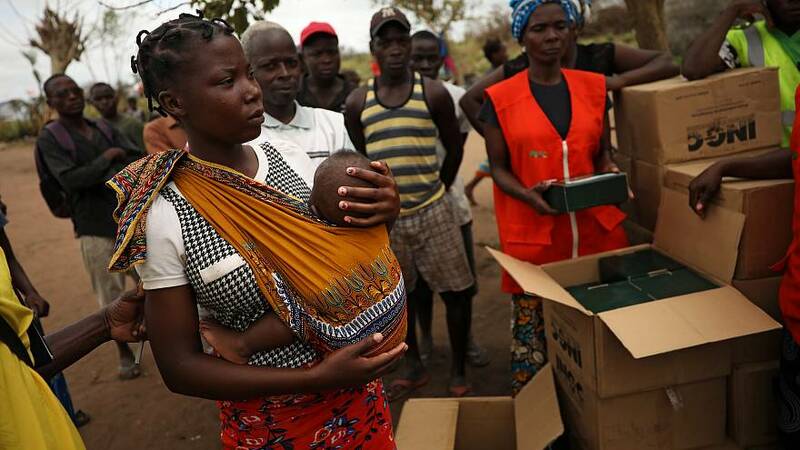 Some two million people’s lives have been touched by cyclone Idai, which hit Mozambique before moving inland to Zimbabwe and Malawi, bringing devastation first with winds of 170 kilometres per hour and then with flooding that followed. The focus now is on bringing food to survivors and on preventing the spread of cholera and other water-borne diseases. The government of Mozambique says it’s already set up treatment centres in anticipation of any such outbreak.